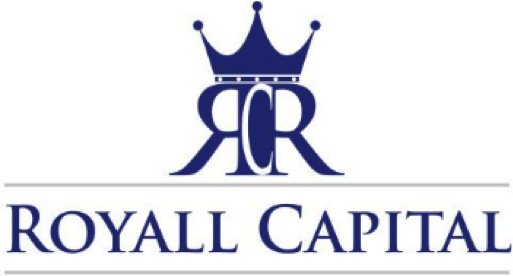 Royall Capital Holdings, LLC ("Royall Capital") is a boutique investment bank that provides corporate advisory and capital raising solutions for our clients. We combine the expertise and capabilities of a large investment bank with the dedication, loyalty, trust and attention of a small firm. Royall Capital’s team has long-standing relationships with many Fortune 500 companies and a broad range of institutional capital providers. Our vast network and experience allow us to create custom capital solutions to fit our clients’ needs and enables our clients to grow and capitalize on opportunities. We also work with Fortune 500 clients to increase the diversity of their supply chain with best in class emerging businesses. *Private placements and other broker-dealer services are currently offered through a partnership with SDDCO Brokerage Advisors LLC MEMBER FINRA / SIPC(SDDCO-BA). Royall Capital and its affiliates are independent and unaffiliated with SDDCO-BA. All such services offered by Royall Capital associated persons are done so in their capacities as registered representatives of SDDCO-BA.